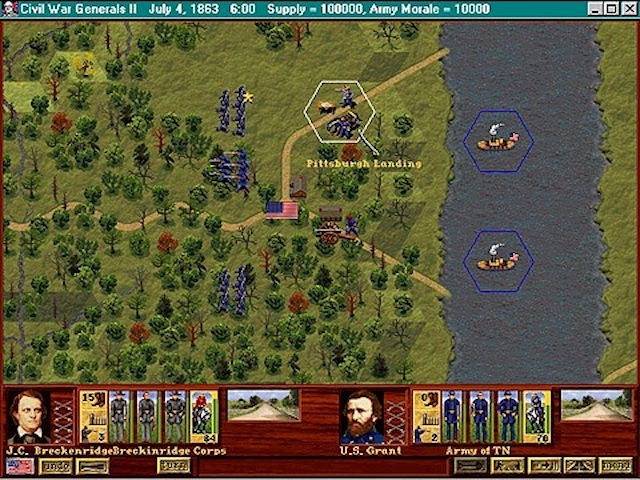 Civil War Generals 2 is simply a solid, enjoyable, and challenging turn-based wargame set in the Civil War. 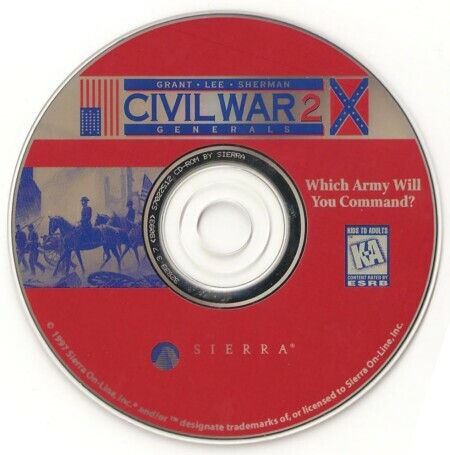 Unlike its predecessor, Robert E. Lee: Civil War General, Generals 2 lets you play either side of the conflict. You also have the option of fighting in the Eastern or Western theaters, through 46 historical scenarios covering such engagements as Fredericksburg, Gettysburg, Vicksburg, and Chickamauga. The game includes a whopping 17 campaigns - including one very impressive option to play out the entire war in both theaters. A vast throng of alternative scenarios is also included, and these come into play during campaigns whenever you change the course of history. All totaled, CWG2 packs in over 200 predesigned scenarios - surely enough to keep most Civil War buffs happy for a long, long time. But if that isn't enough, you can whip up a few of your own with the game's editor. This fairly intuitive tool lets you customize existing scenarios and even sculpt an entire battlefield from scratch, placing all troops, terrain, and resupply points. 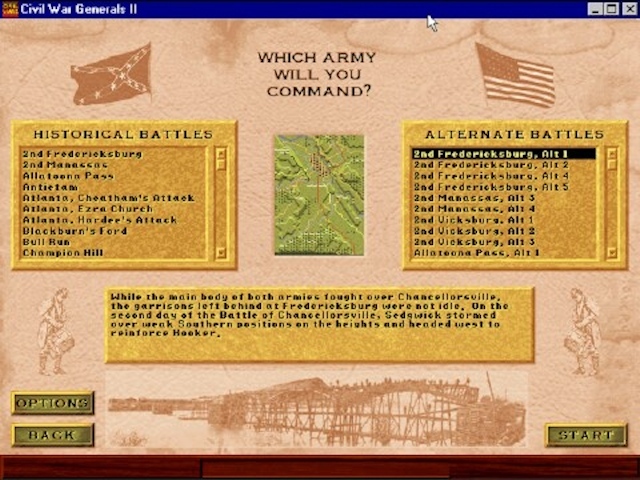 When it gets to the actual gameplay, Generals 2 is practically identical to Robert E. Lee: Civil War General. Game maps are set up on a hex grid, with decent terrain and unit art. Some features, including the detailed battle summaries and hospital reports, are very well done. I also loved the between-battles weapon upgrades. Similar to Panzer General and its many siblings, Generals 2 lets you upgrade each of your troops after each battle of a campaign. You can't purchase more troops, but you can load up on Napoleons and Parrott guns. The final word on Civil War Generals 2? If you're a wargame or Civil War enthusiast looking for an extensive list of scenarios to keep you occupied for a while, this is definitely the game for you. The full war campaign alone makes this game worth trying.